As the owner of a business I sometimes yearn to work for someone else because I know I would blow my boss's expectations out of the water. Here are a few ways you can be an amazing small business employee and get noticed big time by your boss. Some employees become dissatisfied with their job because they never align with the mission. If I told employees we do data entry bookkeeping I wouldn't have any employees. Our mission is to help small businesses grow through an understanding of their finances. A good bookkeeping system is the foundation for helping businesses grow. When you align with your company's mission, you believe in the mission, and you actually care, you are going to take your job to a whole new level. Many small businesses don't have a mission. Those that do have a mission fail to communicate it to their employees. The result is a business that doesn't move towards its overall goal efficiently. Charles Garfield, the author of Peak Performers, suggests this rule for creating a mission: "Don't juggle; choose. You turn away from some things you might like to do in order to focus on those you must do. For the man or woman with a mission, that is neither good nor bad. It is simply a fact." All I ask of employees is that they try their best. That doesn't mean working 60 or 80 hours a week. That might mean only putting in 25-30 high quality hours where they are producing at the top of their game. Working for a small business is hard; it's much different than a corporate job. There is nowhere to hide in a small business; you will be recognized whether you are producing or not. If you show up every day and just give your best, try your hardest that is all you can really do. If it doesn't work out you probably were not meant for the job anyway. Employees often come to me asking a lot of questions about very specific tasks. The truth is I would rather hear from them about their suggestions on how to accomplish things. As the business grows the owners and management staff take on less of a role in operations. Management should want to hear from the people in the trenches actually performing the work. If there is a better way to accomplish something by all means bring it up. We tell new employees from the beginning that we will always listen to their suggestions. We may not always implement their suggestions but we are always open to hearing them. The above paragraph may make you think that you should not ask questions but that is the opposite of the truth. We always tell employees to ask a lot of questions especially when they are new or unsure of how to solve a particular problem. If you find yourself asking the same questions more than a few times then you may have an issue. Making suggestions and asking good questions is something I look for in top performing employees. If you have a great idea for the business you are working for sometimes taking matters into your own hands is the right move. I once heard a story about a sales rep that presented an idea to the CEO of the company he was working for to start a partner program for their business. The CEO said it sounded interesting but he didn't want him working on it during normal business hours. The CEO told him that if he believed in it to work on it on his own time. So the sales rep worked on his partner program on his own time because he believed in it. Do you know what happened? The partner program was wildly successful and everyone got rich. CEO's care about results. Instead of bringing just an idea to your boss, bring an idea that is already working. Sometimes in order to get your ideas off the ground you need to take things into your own hands. Risky? Sure but so is being in business. If you want to really become an indispensable asset to your small business employer find a way to contribute on a higher level. The business you work for does much more than just deliver its product or service to customers. We offer bookkeeping services, but there is so much more to our business than just our core service. We have to market our service, sell our service, manager our services and run the business end of our business. On the business side we need to worry about finding and hiring employees, staying in compliance with HR issues, legal aspects and properly insuring our business just to name a few. Running a successful business is not easy and it's not for everyone. There is a ton going on behind the scenes of any successful small business. How you can contribute on a higher level really depends upon what you enjoy doing or what skills you bring to the table. One of the best ways to get started is to go to your boss and say "Anything I can help you out with boss?" If they say no you probably have a crappy boss. 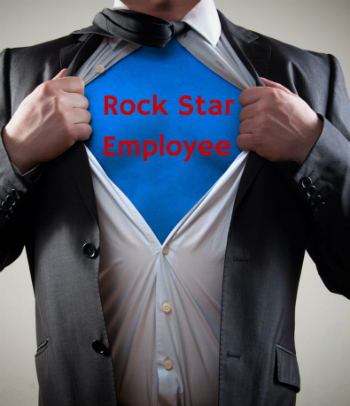 Any other suggestions you have for being an amazing employee?